Perhaps my favorite free event of the year takes place today. Pillow Fight!!! This year, the annual slumber party brawl moves downtown to Wall Street at 3PM. 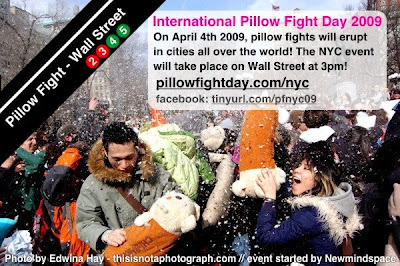 Check out the flyer below and visit www.pillowfightday.com/nyc for more information.